I love Public Holidays. When I was a student, I used to use them for some serious snooozing (and serious boozing), but once you start working 9-5, you realise that Bank Holidays are for doing things which you don’t normally have time for. I’m talking about doing that pile of dishes, washing your clothes, fixing that squeaky chain on your bike – all the boring admin stuff. That’s why, for me, Bank Holidays are also the perfect time to re-consider your financial admin too. Can you hand on heart remember what balances are earning what? And have you thought about looking at how much you’re spending on the food shop lately? It’s that “should” feeling which we all know, but we keep putting off – I know you know what I mean! Your financial future deserves your attention so be smart with your cash and devote some time to sorting your financial life out. Here’s my Top 5 Finance Admin To-Do’s, for those Bank Holiday “Sort Out My Life” moments. 1) Is your money in the right place? I wrote last time about why you should consider switching current accounts. How long have you had your current account for? In the most cases, the longest relationship people have been in, is with their current account. Ever thought of moving? I never really considered it until I saw the bonuses that some new current accounts were offering..
For example! One of my savings accounts was offering a measly .5% interest and I read about the new Santander 123 Current Account which offers 3% on balances sitting in the account. Perhaps I should just open a new Current Account and move my Savings to it? And what about your savings? Yes, they were probably offering a decent rate 12 months ago, but how have they changed now? Is it time to move them into a new account? Today is the day to spend 5 minutes on a comparison website to see where the highest rates are. So you’ve got an ISA or multiple ISAs (if you haven’t, or don’t know what an ISA is, read this post now!) but what is it doing now? Could you be earning a better rate elsewhere? If you’ve got multiple ISAs in different accounts, think about transferirng them into one account – a lot of ISAs offer higher rates for larger amounts. How? You could open a new ISA account with a better rate and TRANSFER your old ISA’s into it – just make sure that your new account accepts ‘Transfers In’. This way, the transfer of funds into the new account doesn’t count as part of this years annual allowance. 3) Are you getting rewarded for spending? Credit card offerings are changing all the time. Are you currently getting any sort of reward from your spending? There are plenty of rewards out there for spending, whether it’s cashback, airmiles, or even nectar points – make sure that you’re getting something back from the Bank for being such a loyal spendaholic. For help with choosing a reward, see my previous post on Choosing a Credit Card. Word of sensible warning though – don’t forget to set up direct debits or reminders to pay your balance in full each month. High interest rates and rising charges require strict credit card control! A lot of us live based on what we can afford, but can your budget be flexed? Assess the excess. Firstly, excess left over at the end of the month – are you saving or moving any of that spare cash out of your account? Although I never go into my overdraft, I’m very good at just spending whatever’s in my current account, so any extra I’ve not spent in April, gets spent in May. And if you’re tight towards the end of the month, can you cut down on any excess spending? Bank Holidays are a great time to sit down and look at your spending. A good idea is to state how much you’d like to spend on rent/bills/clothes/going out and then work out how much you have spent. Is it in line with what you thought? Can you, or should you, cut down on any of that? Even simple stuff like mobile phone monthly bills – are you really using all your minutes/data allowance, or could you downgrade your package to a cheaper one? I always assumed that I needed 750mb data and 600 minutes, but when it came to checking my usage, I definitely didn’t! 5) Go paperless or go home..
……..and sort out that massive pile of statements which your parents have been keeping in one place for you for the last few years. You know what I’m saying!The days of piles of paper bank statements are to be a thing of the golden age, along with Sunny Delight and blue freeze pops. If you’ve not already gone paperless – you should definitely think about it! Not only does it save the environment and cut down on wasted paper, you can also download all your statements as and when you need them, from wherever you are. For those who like the feel of paper, it’s time to sort out that huge pile of statements waiting for you. Open the envelopes and bin all the marketing that comes with them, then file them in a folder – in monthly order of course.. It’s a boring job, but we gotta do it eventually! How many did you score out of 5? Also – quick Face Value reader survey. Would you be interested if I started doing posts like these on YouTube? Basically, the above, but read out in my dulcet tones, with some funky background music and transitions thrown in? 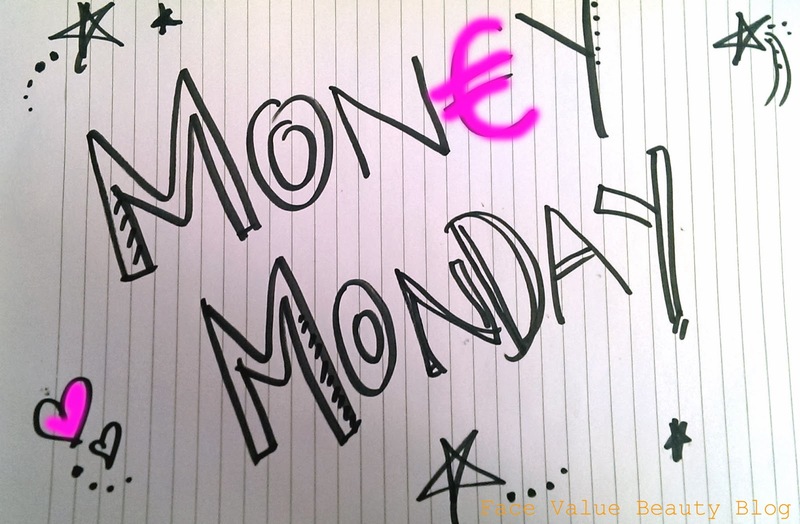 MONEY MONDAY: How Much Is Your Spending Costing You? Previous Post My Quest For Purple Hair via BLEACH LONDON.